Watch the comedian's emotional Instagram video. Comedian Kevin Hart, 38, took to Instagram to post a public apology to his wife Eniko Parrish Hart, 33. The couple married on August 13, 2016 and is expecting their first child together. Kevin also apologized to his children with first wife Torrei Hart, Heaven, 12, and Hendrix, 9. 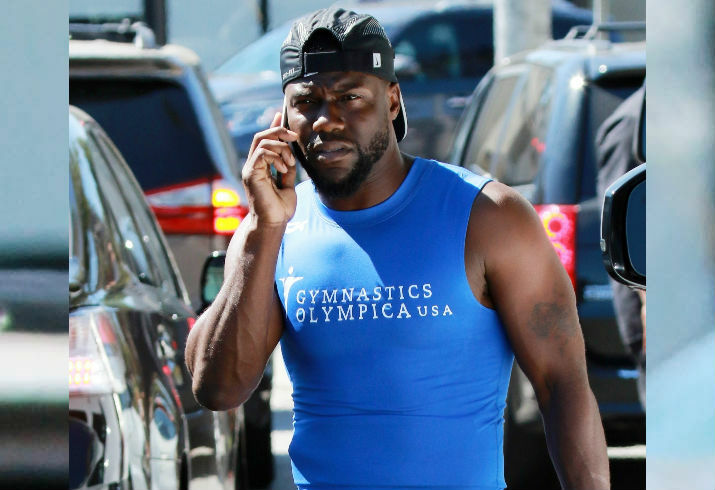 The emotional video comes at a time when Kevin is plagued by cheating rumors—including from his ex-wife who claims the Ride Along star was still married to her when he began dating Eniko. Kevin’s rep told People magazine exclusively that someone made a “failed extortion attempt.” The rep gave no further details other than to say, “As law enforcement is involved we cannot comment further as it could affect the investigation.” Watch Kevin’s full video here and let us know in the comments section if you believe the funny man’s apology is sincere.